5.0 Liter V8, and 5.7 Liter V8. Replacement V8 Tachometer Circuit Boards for 1990,91,92 Chevy Camaro. Easy to install - unplug the old Circuit Board and Plug in this new one. Green LED indicates the board is powered. Circuit Board has a green LED that lights to indicate the circuit board is receiving power. This can be useful when diagnosing gauge cluster problems. Includes installation instructions. Installation is fairly easy. There is no solder involved. Comes Pre-Calibrated and ready to install. Application 5.0 Liter V8, and 5.7 Liter V8. We generally deal with Asian cars. The Camaro was a new unknown car. This made a big resale problem an easy fix for us. Great support! Very Happy with the new Tack Board, do NOT Need calibration as hoped. Fast Delivery and packaged very well. 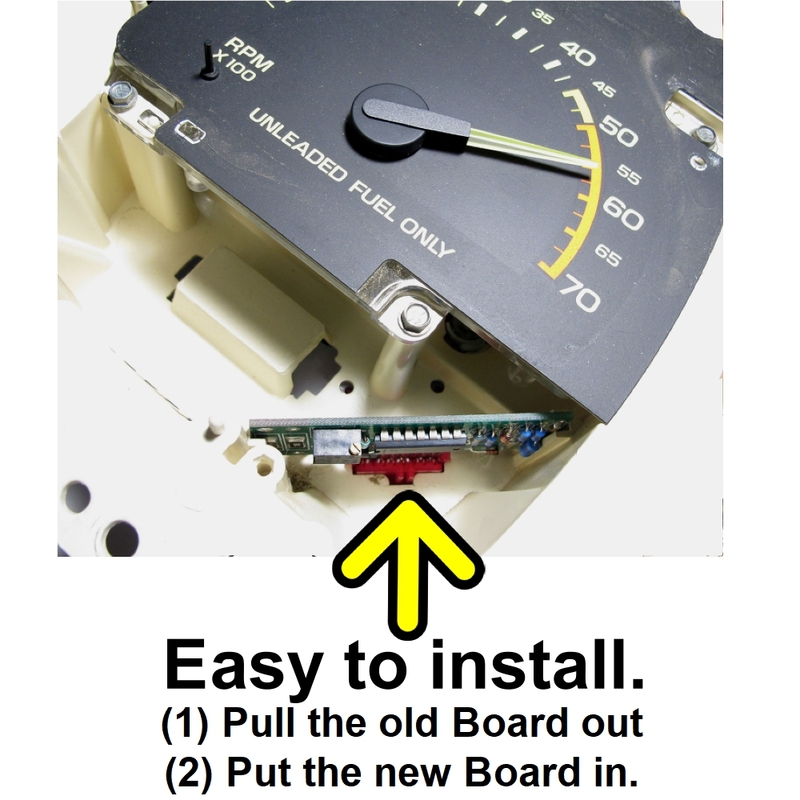 This was an easy and relatively inexpensive fix to my tach which was way off. I was so excited to find this parts. Tried a couple from the junkyard and one worked for a month. The others were also bad. My 92 Camaro is garage kept and looks like new. An aftermarket tach would not work for me. This made my Camaro whole again. Thanks for making this part available. Thanks for shipping all the way to Japan. The part worked great. The Tachometer works like it should. 1990-92 Chevy Camaro V6 Tachometer Circuit Board. Pre-Calibrated Easy to install.